What do we know about forced labor in North Korea? 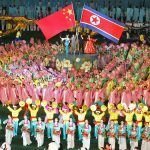 Seth Daire and JJ Janflone discuss key research and investigative reports about how forced labor is utilized in North Korea, which a specific focus on the kwan-li-so political prisoner camps. JJ also discusses North Korea’s abduction project.